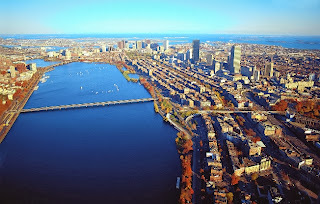 I was born in NYC, but Boston MA has been my long-term temporary residence since 1973. For just over 40 years I have walked the winding cow paths of this great city, but will soon be saying goodbye. But an abundance of wealth in the cultural scene is undeniable. My Boston’s “Then and There” included the “Here and Now” new music series at the MFA, rush tickets to weekly Boston Symphony concerts (which often included world premieres that were broadcast by WGBH’s “Evening at Symphony” on TV), and a community of musicians and composers that were (and still are) by any standard a world-class act. I’ve resided in the Fens, Cambridge, Jamaica Plain, the North End, Brookline, Allston-Brighton, Somerville, and (since 1990) Arlington. I’ve found the entire Boston-metro area to be densely populated with people of exceptional talent. I’ve been fortunate to have met and worked with so many amazing and gifted musicians who have made this remote outpost of New York City their home. Although I matriculated at Berklee, New England Conservatory, and Brandeis, the city itself and its numerous universities and conservatories served as my collective open classroom and musical sandbox. Over the decades I attended concerts and experienced world premieres numbering in the thousands - a few of which have included my own work. (I’ve actually saved every printed concert program for concerts that I attended since 1973, and the collection would fill a dumpster). The names and faces of the musicians whom comprise the BSO has refreshed - at least once - as has the orchestra’s roster of famous and infamous music directors. For me, it’s hard to imagine not living in a city with an institution like the BSO or without all of the fine chamber ensembles and new music groups that have made this place their base: BMOP, Dinosaur Annex, BMV, Collage New Music Ensemble - just to name a very few. Over my years I’ve supported myself with various forms of employment; some of which have been at Boston institutions that no longer exist: Briggs & Briggs, Brigham’s, and Scudder. I also worked as a car salesman, a night watchman, as a bagger in a supermarket, a Professor, and at a fish processing plant in Gloucester. It’s been quite an extended layover. And while so many of my great friends, teachers, and colleagues have sadly departed the stage before the last time, much still happens in this energy-charged venue of a city. It’s a place with options and choices abound. 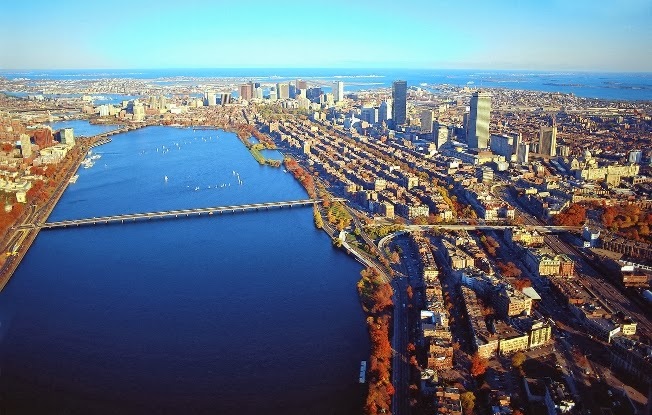 One can never grow bored in Boston since there is just too much to do, more restaurants than you could ever visit, and Classical and Early music up the wazoo. The city has an old-world charm and European feel. Yet, at the same time it fosters a parochial community where everyone knows what everyone had for breakfast [fyi, I had instant oatmeal today]. Boston-area weather is full of surprises. You can have a mega-storm on April Fool’s Day. My bags are packed. The car has a full tank of gas. It’s almost time to go. Willemien and I will start our migration down South. We will drive to our new home and begin the next phase of our lives. Goodbye Boston! It’s been a great place to hangout for 40 years. We will miss you.